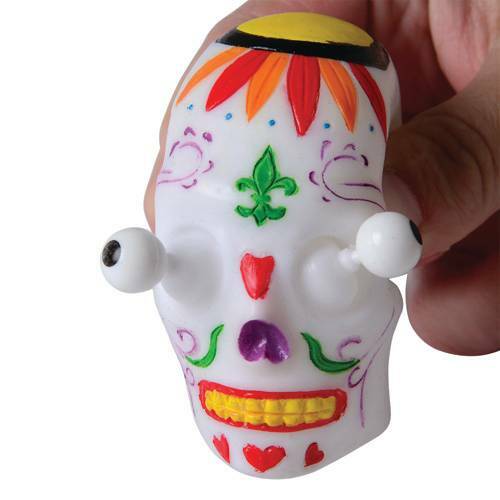 Celebrate your stress away with these Day of the Dead-inspired squishy skulls. 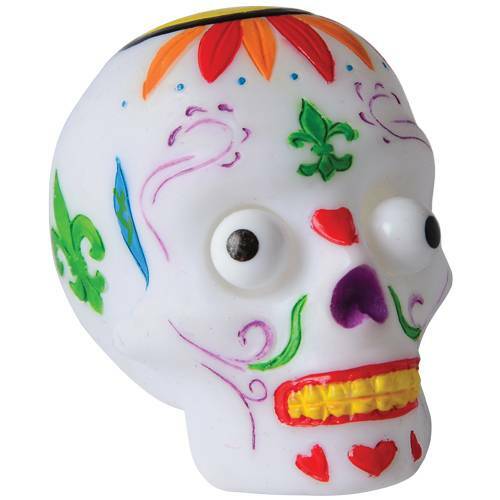 Representing the sugar skull design often used in these celebrations to honor the dearly departed, give the head a squeeze and watch as its eyes hilariously bug out. 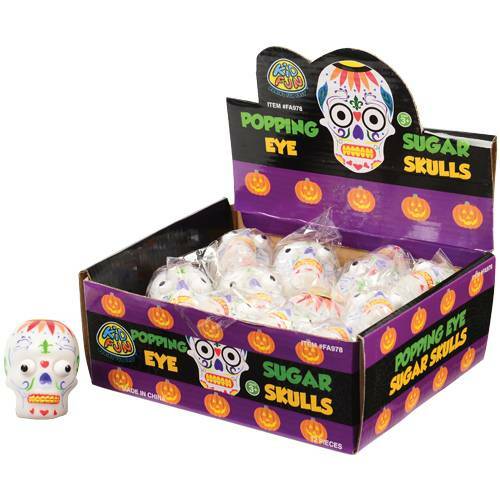 The perfect party favor for entertaining children and adults alike, everyone will have a popping good time!